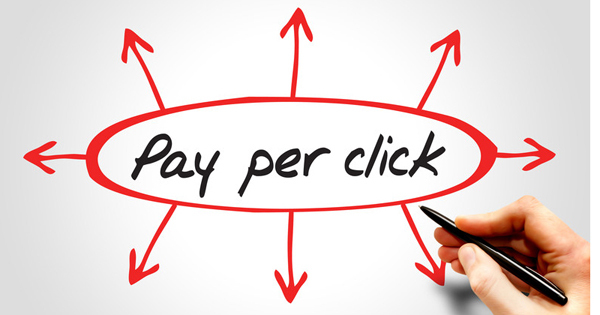 Should I Use Both SEO and Pay Per Click Campaigns? Sometimes my search engine optimization clients ask me if they should also use Google AdWords. Other times, I initiate the conversation and recommend that they do so. SEO will provide natural or organic search results. You do not have to pay Google (or any other search engine for this listing). But pay-per-click listings appear either at the top of a search results page or on the right hand side. There are good reasons to use paid listings. First let me explain that unlike regular advertising, you don’t pay for the listing to appear. You only pay for each time someone clicks on your ad. Years ago, it was common to pay 5 to 25 cents per click. But now the competition has made the cost much higher. I see averages of $2 to $8 per click. The good thing is that you are able to set your daily limits, so that you don’t spend more than what you budget. Speed. An AdWords campaign can have you on the front page of Google today. SEO usually takes time. On average, I see results six months after I’ve done my work. And then there’s always more work to do and more waiting time. Paid search will work in a highly competitive market where it’s difficult to rank with SEO alone. I find this especially true with national accounts. SEO and pay-per-click listings complement one another. When your company appears in both the organic listings and the paid listings, it increases the gravitas of your company. Your authority is underlined. I asked AdWords experts Howard Jacobson and Kristie McDonald, both authors of AdWords for Dummies, to add any additional thoughts. Jacobson said, “An ad increases your presence on the search results page. Think about it — if you could own every single listing on the page for your best keywords, wouldn’t you want to? How about all the listings except for one? Don’t you want as much real estate on that page as you can possibly get? Although I know of savvy owners who can manage their AdWords campaigns well, for most owners, I highly recommend hiring a professional to manage their pay-per-click campaign, as a mistake in setup can cost you big time. Easy Web Tip 165: Both SEO and pay-per-click campaigns can work together to help you stand out from your competitors on a search-results page. « Tell Me I Don’t Need SEO. Please!